Remember your first real bike? Mine was a Banana seat Schwinn passed down from my brothers and to them from, who knows? It was kinda ragged, but I thought it was awesome. I wish I still had a banana seat bike. I remember the day I learned to ride it. When I felt comfortable I just took off and kept going, my mom behind me yelling to stay on our street. I did. For a couple of days. We lived near a park with lots of cement paths. I remember meeting friends there and riding our bikes around with our candy cigarettes hanging out of our mouths. We thought we were so cool! I didn't get a chance to fully scan this catalog, but if you want to see better pictures of it, you can own it! I have it for sale at Ebay now! First $10 gets it! 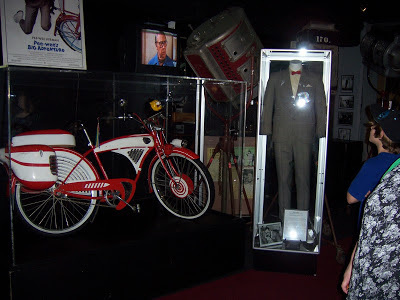 Who doesn't love Pee Wee's Big Adventure. We can enjoy that movie and conveniently forget about Paul Rueben's crude behavior. 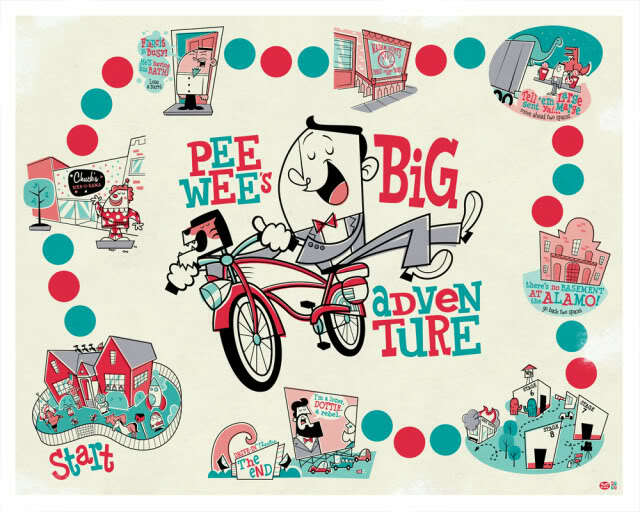 If you don't own Pee Wee's Big Adventure, and I don't know why you wouldn't, you can buy it for $5 at Wal-Mart. 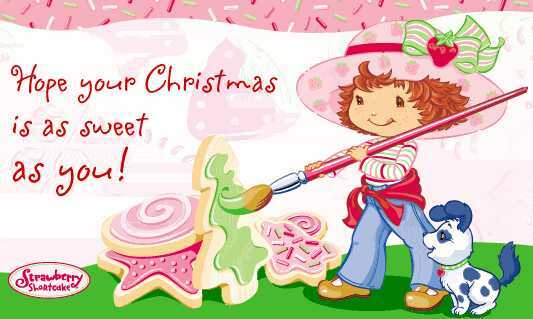 The Trolls want to wish you a Merry Christmas. 1982 ME- "Oh yes! That Michael Jackson doll will be mine! 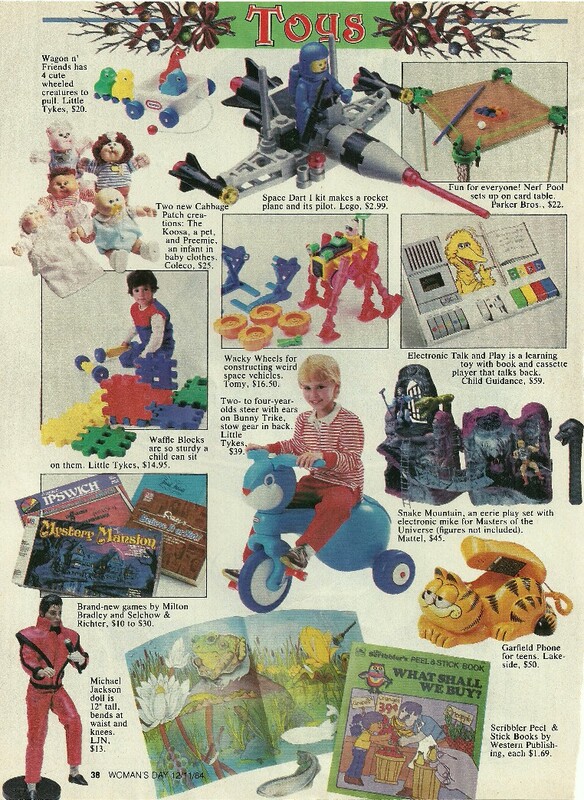 There are some awesome toys in this 1984 Woman's Day Ad. I saved forever to get that Garfield Phone. It got broken in a brawl with my brother. The Michael Jackson doll was the most popular dude in Barbie Land! And what can you say about those amazing Cabbage Patch Kids and Koosas! Well, maybe not the Koosas. My sister loved them, but I didn't get it. Why were the pets the same size as the dolls? They looked so weird! That Nerf Pool set is pretty awesome too. I bought it about 10 years ago, at a garage sale, for my afterschool program. The kids absolutely love it. And it's Nerf so it took like 5 years to break one of the balls. And it was probably already like 20 years old then. Sweet Lego Minifig and Space Ship. You know how much those minifigs cost now?!? 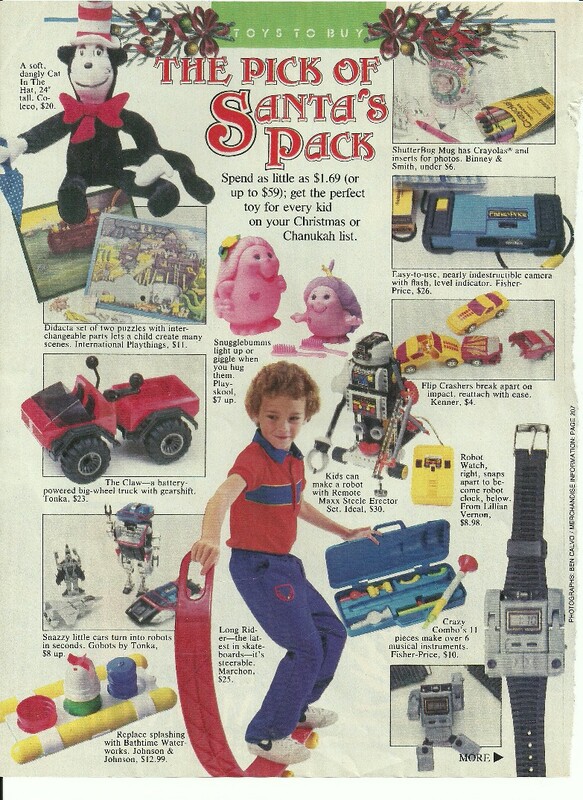 Did you have any of these toys?